To create a new auction click on "New Auction" in the Reverse Auction Menu or go to your user profile under the Auction Taskpad tab. 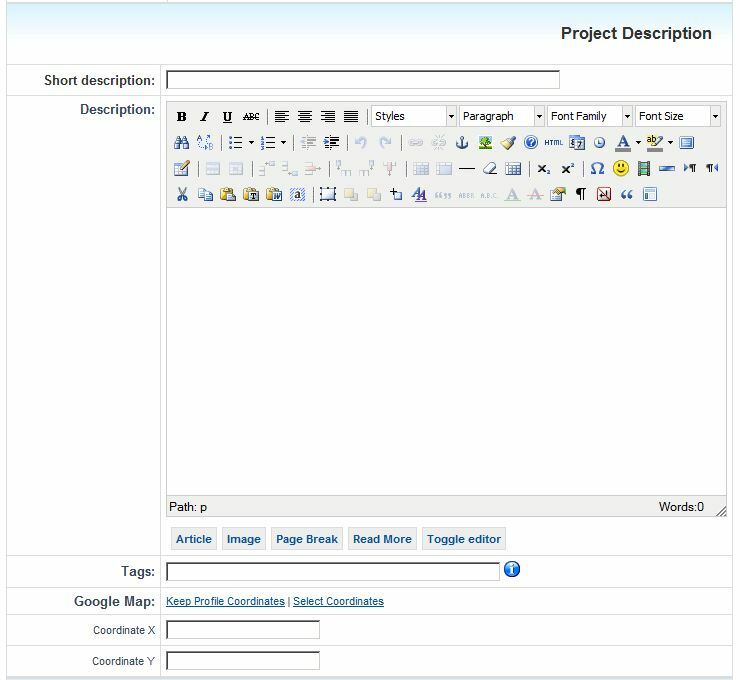 The process of creating a new auction is divided in different sections, first you must add the required project details. In order for an auction to be shown on the website it must be published, if you are not yet ready to start it you can leave it unpublished, save, and return later with more details or just to publish it. There are two types of auction, private or public. The bids on Private auctions are hidden. 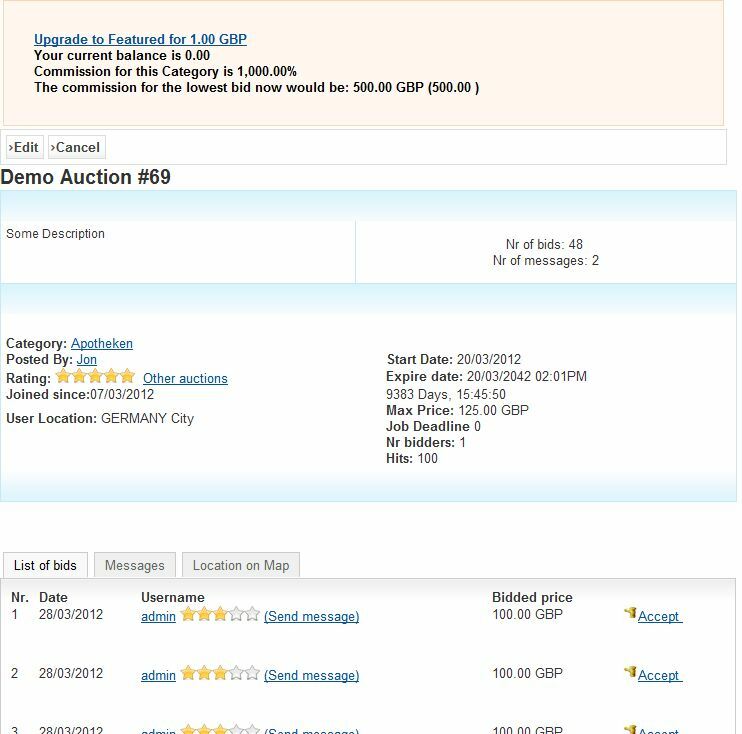 Here you write a description and the tags for your auction, tags allow people to find your auction when using the search option, write appropriate tags for your auctions and separate them with a comma. Also the Google Map coordinates for the auction are set here, you can either choose new coordinates, or the ones on the user profile. Reverse Auction Factory also allows you to add pictures and files to your auction. You can upload a Non Disclosure Agreement and another file you find necessary. Some pictures can also be uploaded, the main picture will show on the main display of the auction and the additional pictures will be found in the picture gallery of the auction.